Is Daniel Johnston a great musician or a victim of hipster exploitation? 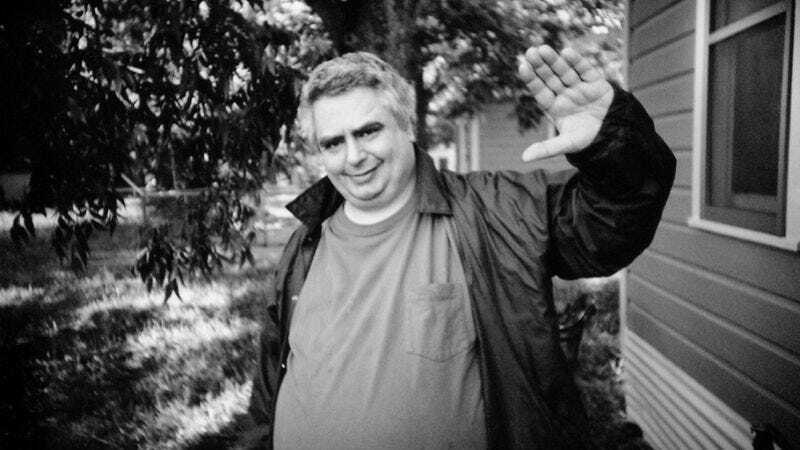 For many, Daniel Johnston is one of the greatest musicians of his generation, despite (or because of) the fact that most of his output consists of lo-fi cassettes he recorded alone in his house. Others see a marginally talented songwriter whose naked sincerity as a performer, inextricable from his mental illness, has been inadvertently exploited by hipsters. Jeff Feuerzeig’s 2005 documentary The Devil And Daniel Johnston, remarkably, appeals to both groups, functioning as both a celebration of idiosyncratic genius (the likely intention) and a creepy cautionary tale (for those inclined to view it that way). With Johnston metamorphosing from the twig-thin, perpetually cheery figure seen on MTV’s The Cutting Edge in the ’80s to an obese depressive in the present day, he comes across as a version of both Robert and Charles Crumb, handily illustrating, in one man, both sides of the coin formed when art butts up against madness. Launched into alt-notoriety when Kurt Cobain started wearing a T-shirt featuring artwork from his album Hi, How Are You, Johnston proved far too unstable to capitalize on his good fortune, spending a good chunk of his life institutionalized. (At his best, he lived in his parents’ house.) Feuerzeig passionately makes the case for him as a tragic figure whose brilliance was undermined by demons beyond his control, but the sad figure shuffling through the movie suggests the dark side of the very quality that makes his early cassettes so poignant—namely, his permanently arrested development, which makes him seem about 12-years-old regardless of his chronological age. Singing childlike ditties about Satan, King Kong, and Casper The Friendly Ghost in a tuneless quaver, he’s affecting because he’s so guileless. (His undeniable gift for melody is arguably best represented by covers of his songs performed by the likes of fIREHOSE, Tom Waits, and Yo La Tengo.) Regardless of one’s personal opinion, though, The Devil And Daniel Johnston fascinates. It’s a portrait of a singular life that improbably touched millions, whether or not it did so for the “right” reasons. Availability: The Devil And Daniel Johnston is available on DVD, which can be obtained through Netflix’s disc delivery service, and to rent or purchase from the major digital outlets.